MAY-GA GIVEAWAY - Let's Celebrate With Free Food! - EAT WITH HOP! Home / FEATURE / GIVEAWAY / MAY-GA GIVEAWAY - Let's Celebrate With Free Food! THE GIVEAWAYS ARE BACK THIS MONTH! ARE YOU READY?? MAY IS MY BIRTHDAY MONTH! Yay! Another year older and wiser (hopefully) but I still feel like a kid at heart. Who else here is a May baby?!? 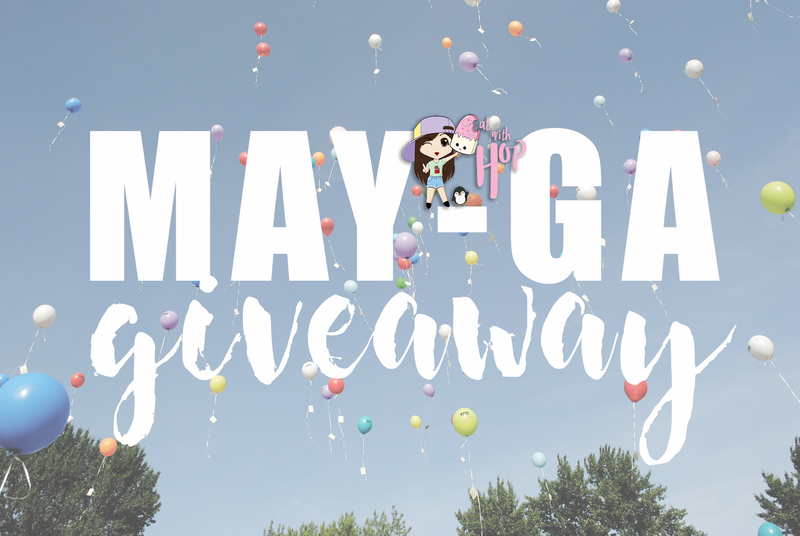 *high five* And since it's a month worth celebrating, I thought, why not celebrate it by doing a "MAY-GA" giveaway for all the special Taste Buds out there as a way of saying thank you for supporting this blog! Just your readership is a gift in itself, so thank you! I've been blogging for over 3 years now! It was just a hobby at first that started in 2014, then went hiatus the 2nd year with very little posts. But now, I am trying my best to blog more regularly! I remember when I first started blogging, somehow my blog reached a few people that actually found my blog useful and even left comments! It made me so happy and definitely pushed me to keep going! One of the most common things I hear people say about my blog is that they appreciate the integrity and honesty. This really means a lot to me because I never intended to become a walking advertisement. My goal is to spark discussion, share food news and chat about what's good and what isn't good. Sort of like a yelp review (some of those are so brutally honest) but in a blog format. Basically, a diary of an Orange County Foodie trekking through world of food. I recently had the opportunity to do a sponsored campaign for Dunkin' Donuts! YAY! Check it out here! It was such a fun time checking out Dunkin' Donuts and writing about it! People actually recognize and say hi to me in real life! OMG!! That is so awesome! I love meeting my fellow Taste Buds in real life and honestly, whenever this happens, my heart melts like an ice cream popsicle on a hot day because I am just so overfilled with joy and appreciation (but I try not to show this because I might end up looking creepy and too happy). I've got some special giveaways this month featuring some of my favorite food! Most of them will be hosted right here on my blog and some will be hosted on my Instagram @x3hoppie so make sure you're following the IG to stay updated! Also, keep checking back here on this very post as more giveaways will be launching here! →Win a free meal to any Halal Guys in SoCal (value up to $10). Picking two (2) winners! →Win a $10 gift card! Picking two (2) winners! →Win a free charburger! Picking (2) winners! →Win a $50 gift card! Picking one (1) winner!